There is much more to Europe than open borders, free movement, common institutions and balanced decision making processes. All of those are means towards a much more noble ambition: to secure peace, democracy, tolerance, fundamental rights, western civilization and the arts. We are convinced that Europe has the potential of becoming stronger than ever. Our aim at the ELGS is to give our students the broader perspective and to share with them the knowledge, skills and confidence that they will need to make Europe better. 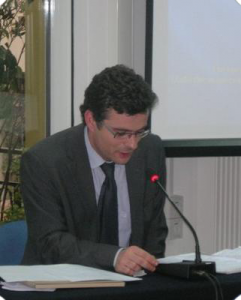 Professor Vassilis Hatzopoulos is also a Professor of EU Law and Policies at the Panteion University, Athens. Previously Professor, Chair of Department and Dean of School at the Democritus University of Thrace. He is visiting Professor at the College of Europe, Bruges (Belgium) and honorary Asst. Professor at the University of Nottingham (UK). He has a longstanding experience as a lawyer, practicing before the highest national courts and the Court of Justice of the EU. He has consulted i.a. the Greek Government, the EU Commission and the European Parliament. His research covers EU institutional law and governance, the EU internal market, state aid and public procurement, as well as EU asylum and immigration law. He has published four monographs and over a hundred articles and case notes in English, French and Greek. 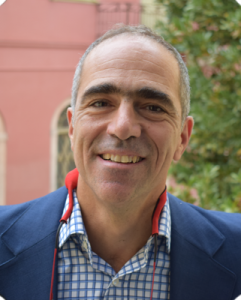 Professor Andreas Pottakis is the Provost of Postgraduate Studies at the ELGS. Professor A. Pottakis is the Ombudsman of Greece. He graduated from the National and Kapodistrian University of Athens, Faculty of Law and he was awarded a doctorate (D.Phil, Oxon) in EU Law from the University of Oxford (Worcester College). He was formerly the Head of Legal Office at the General Secretariat of the Hellenic Government and Attorney at Law, and is Member of the Scientific Council at ECCLE and Alternate Director at the Academy of European Public Law (EPLO). He has lectured at various European Universities, and most recently in Greece, where he has also pursued a career as a lawyer since 2001. He has considerable experience in organizing and running vocational training and Inter-University courses in several countries in Europe and abroad as scientific director. He has published extensively on a wide range of areas, including, inter alia, European Public Law, Comparative Law, Constitutional and Administrative Law, and the legal protection of Human Rights.